We are an acknowledged wholesale supplier and exporter of Orange 13 Water Based Pigment based in Ahmedabad, Gujarat, India. The Orange 13 Water Based Pigment we offer is manufactured using superior quality chemical compounds ensuring best quality. This water based pigment has excellent solvent resistance and best light fastness. Our product is widely used in offset, polyamide ink, rongoli, kumkum. We offer this Orange 13 Water Based Pigment at affordable prices. 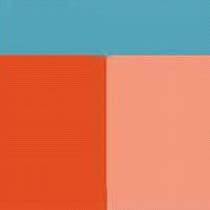 GENERAL DESCRIPTION : PIGMENT ORANGE 13 IS A REDDISH SHADE ,GOOD FASTNESS TO LIGHT AND WATER. RECOMMENDED FOR PAINT, INK, WATER BASE AND PLASTIC.